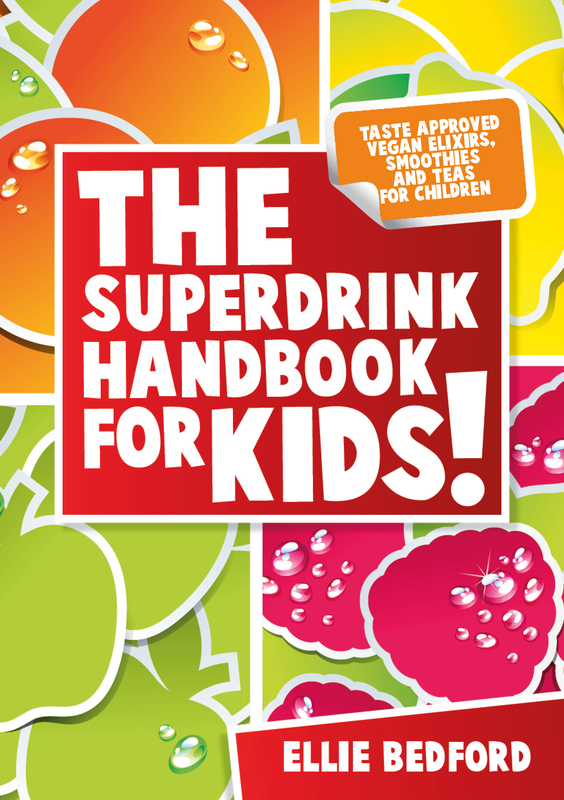 The Superdrink Handbook for Kids! Today, Elena Bedford, author of the newly released Superdrink Handbook for Kids, is here to tell us what inspired her to create the book and shows us how getting kids to enjoy healthy foods can be both fun and easy! 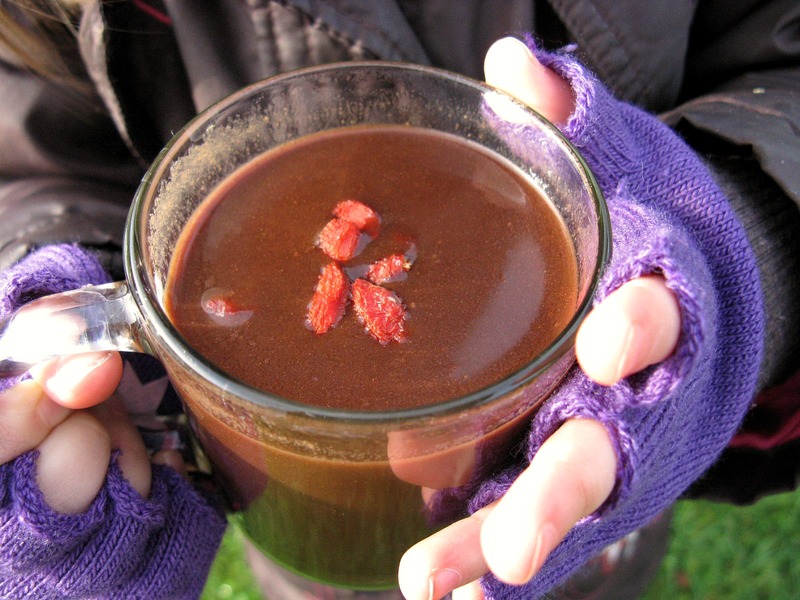 You won’t want to miss the free recipe for “Nicey Spicey Hot Chocolate” either. I first noticed the special appeal of smoothies for children when I was doing a nutrition demo at a local school some years ago. We gave the kids lots of ingredients, including lots of greens, and told them to put in whatever they wanted and see what happened! Of course many engaged in a contest to see who could put in the most parsley, or salad. What surprised me – and them! – is how much they enjoyed them. For some, it was the first time they had been pleasantly surprised at how much they enjoyed these foods. I had parents telling me weeks later that their kids were still asking to put salad in their smoothies! I realised that making fun and tasty drinks was a powerful way to get nutrition into kids, but also to help them to reassess their relationship with food; these drinks got them excited about healthy eating. And so The Superdrink Handbook for Kids was born! The recipes in The Superdrink Handbook for Kids contain lots of highly nutritious, energy boosting ingredients, blended together with child friendly fruits, nut milks and chocolate. It was natural that this collection expanded beyond the smoothie. In the colder months, a warm, sweet chocolaty elixir is amazing to warm you up, and nothing seems to calm an upset child like a cup of soothing chamomile tea. While these drinks are already pretty amazing, I’ve made it a habit of mine to see how much goodness we can get into these drinks, but still have the kids love them, so you won’t find your standard hot chocolate, it’ll be packed with superfoods to really give your child (and you) a boost. Eating seasonal and local whenever possible is also important to me. I’ve included many easily sourced local superfoods that have been overshadowed in recent years with the introduction of tropical superfoods stealing the limelight. I want to highlight how easy it is to find amazing superfoods right on your doorstep. We can find amazing foods such as bilberry, blackberry and vitamin C rich rosehip, all local to our homes and which can all be utilised in delicious drinks. These ingredients are not only great for our bodies, they’re great for the environment too, as more local ingredients mean less air miles for our food. And while I’m not saying we should only eat local foods (you will of course find bananas and other tropical ingredients in this book too), I do feel strongly that it’s time for local superfoods to shine! Of course all the recipes in this book are vegan, and show just how tasty plant-based alternatives really are. Eating vegan certainly doesn’t mean deprivation when it comes to food. A creamy coconut milk based drink, or silky cashew cream are rich and decadent; real comfort foods that will leave you feeling satisfied! With winter fast approaching, there are plenty of warming drinks to choose from in this book! This spiced hot chocolate is one of our favourites at this time of year. nutrient boost from the rose-hip powder. sure not to include the seeds in the powder! If you loved this recipe and want to make more fun superdrinks, download your eBook copy of the Superdrinks Handbook for Kids and you can get started right away!